Recent events have led to a vast amount of media attention being placed on issues surrounding euthanasia and the law in Australia. Although the euthanasia debate has been ongoing for a number of years, it has recently been reignited due to controversy surrounding the suspension of a medical practitioner who is a strong advocate of the practice, and the tabling of a euthanasia bill in the Senate. 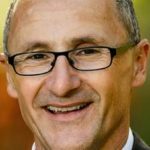 A draft bill tabled by Senator Richard Di Natale in June will make voluntary euthanasia legal if it is approved. The bill authorises medical practitioners to prescribe, prepare, and/or administer a substance allowing a terminally ill person to end their life humanely. The government would pay for this service, and doctors would be indemnified from legal action. The bill, if approved, won’t be the first of its kind. In 1995 a bill making voluntary euthanasia legal was successfully introduced into the Northern Territory, but it was then overturned in 1997. Is euthanasia a medical or legal issue? Although euthanasia is a medical issue, it also has legal implications. Doctors who prescribe lethal drugs to patients can be charged with a criminal offence. As the law stands now, every person is considered to have the right to life. This right is protected by law, which means that anyone who is found guilty of depriving another person of their life, or of helping them to end their life, is breaking the law. For euthanasia to be legally possible and for medical practitioners to legally supply and administer the drugs used for patients to die humanely, the law would need to be changed, otherwise practitioners run the risk not only of no longer being allowed to practice, but also of legal consequences including prosecution and prison. Recently, Dr Philip Nitschke has received a large amount of media attention regarding his outspoken support of euthanasia. He was questioned by police earlier this month after allegedly helping terminally ill man Max Bromson end his life using drugs purchased from Exit International, Dr Nitschke’s website and advocacy organisation. According to Section 17 of the Crimes Act 1900 it is a criminal offence to aid someone in committing suicide. Helping someone to commit suicide can include providing them with the physical means as well as inciting or counselling them to end their life. If they are found guilty, offenders can face up to 10 years’ imprisonment. As well as the criminal penalties, there are professional ramifications for doctors who help patients end their lives. Dr Nitschke has also now had his licence to practice suspended by the Australian Health Practitioner Regulation Agency after he was alleged to have been communicating with a healthy 45-year-old man who then committed suicide using drugs imported through recommendations made on Exit International. Assisting a healthy person to commit suicide is considered a very distinct issue to assisting someone with a terminal illness to end their own life. Mental health organisations like the Black Dog Institute believe that Dr Nitschke should have referred the man for counselling, instead of advising him on suicide options. What are the arguments for euthanasia? 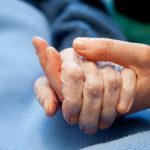 Euthanasia advocates use a number of different arguments to support their belief that euthanasia should be legalised. Many believe that a terminally ill person who is going to die anyway should be given the right to choose when they die so they can have some control over the process. It is also suggested that for many people who are in a great deal of pain, euthanasia could put them out of their suffering and make it easier for their families. Many pro-euthanasia advocates have also cited the ability to die with dignity as being one of the main reasons for wanting to make euthanasia legal. 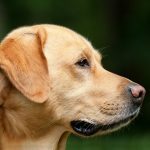 If euthanasia is made legal how will it be regulated? Section 51 of the Australian constitution allows for changes to the law regarding medical services, which means that it is possible to make euthanasia legal if there is enough support. It’s not as simple as just changing the law, however. The debate around legalising euthanasia also raises the question of how the process would be regulated, so that the law isn’t misused or abused, and so that patients and their families are provided with the right level of support. Although politicians who are working towards legalising euthanasia are yet to provide any firm details on this, there would need to be a process in place before euthanasia is legalised. Some suggestions made by pro-euthanasia spokesman Dr David Swanton have included that the patient would need to have been diagnosed with a terminal illness, and would need to be assessed for mental health conditions including depression. There have also been suggestions of a minimum age for patients to be able to access information and support for end of life options. But whatever ends up happening with the current proposed legislation, what is certain is that the euthanasia debate is unlikely to simply go away. What’s happened to the presumption of innocence?